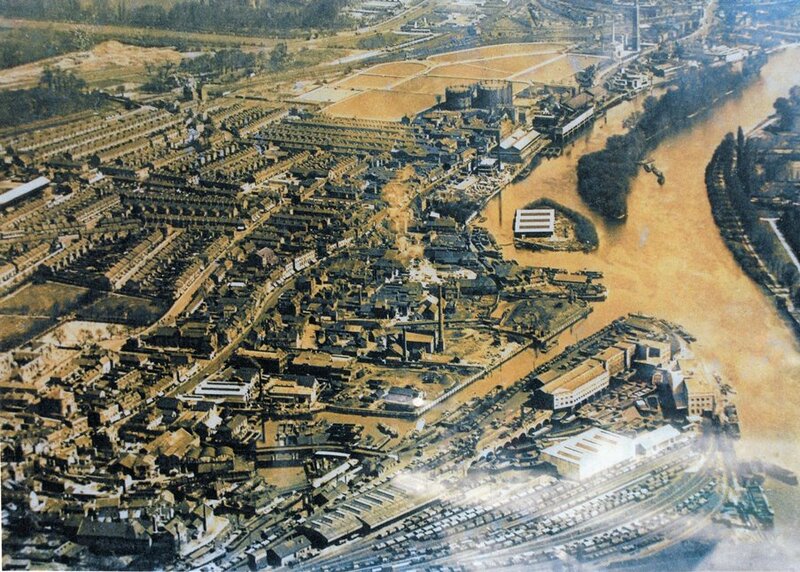 Brentford Dock and its railway are at the bottom of the photo. The site has several photos of Brentford Dock taken in the 1970s by Peter Young. The High Street winds diagonally across the photo past the gasometers behind St George's church. The square building near the left border, over a quarter of the way up, is 234a High Street, formerly a chapel but a factory when the photo was taken. Fronting the High Street a little left of centre is a 3-storey block, 290-294 High Street.